It is not just a saying in the Bible. It is true: Ask, and it is given. I have experienced it so many times, with so odd requests or questions, that, if I recalled them all, I surely could fill a booklet solely with them. And you got bored. I've written already about how to correctly make a wish, I’ll elaborate more about it here – and let’s start this jacket story. It happened in Norway, July 2012. It was our first holiday there. The next day after landing in Oslo found the four of us further inside the land. Namely, on our way to Trollstigen. 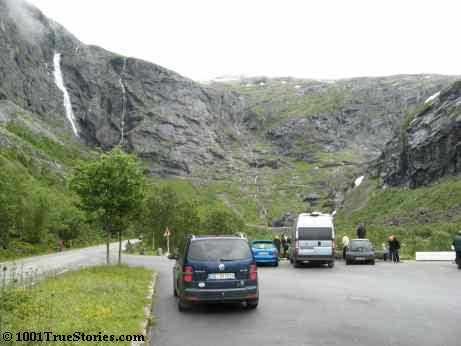 This is a beautiful, impressive road in the Norway mountains. 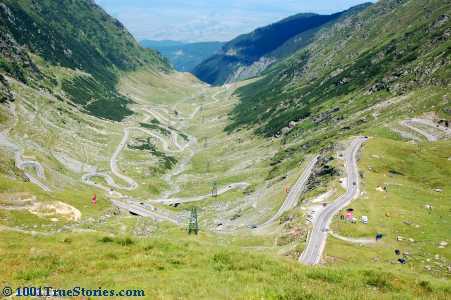 Almost as beautiful as our Romanian road through Fagaras Mountains, called Transfagarasan. Scout's honor, this is the most impressive picture we have about Trollstigen, even if it was much more than that. The fog scrap on the upper left seems inoffensive. It was not. 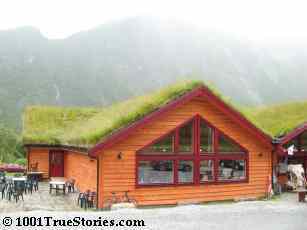 Well, before entering the Trollstigen, there was a souvenir hut on the way. Being the first day of our journey, it was the first one we consciously perceived in Norway. We are no souvenirs fan, but for some reason my son wanted to enter it. … We entered for him and found something for me… Without looking for clothing, this cardigan jacket stole my eyes and my heart. I recovered both instantly by looking at the price tag: “translated”, about 240 Euro… Pfoa. A bit more than my monthly salary as a halftime teacher in Romania five years before. My husband earns better then average and he encouraged me to buy it. He said that I generally buy so few things for myself (he’s almost right), that when I see something I like I should buy it even if it’s expensive. I couldn’t say Yes though. It was too much to take away from the household wallet. “If it was half the price”, I said, “I’d have bought it.” And I found the guts to add that, if that cardigan jacket was for me, I’d find it somewhere else. Now, as said, it was our first day and the first souvenir shop. We had no idea how popular that label was and what the chances were to find it somewhere else. Next day found us in Alesund. 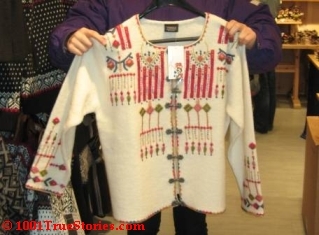 My husband said suddenly We should look for a souvenir shop, maybe we find that cardigan. We entered the next shop in our way, with handmade pottery I think. We asked the lady for directions to a real souvenir shop. She was very kind (they seem to be all kind, in Norway) and directed us on a pretty complicated way toward what we wanted. To make a long story short. We did find that shop. My cardigan jacket, in several sizes including mine, was hung with other clothes outside on the street. No further comments, my dears.